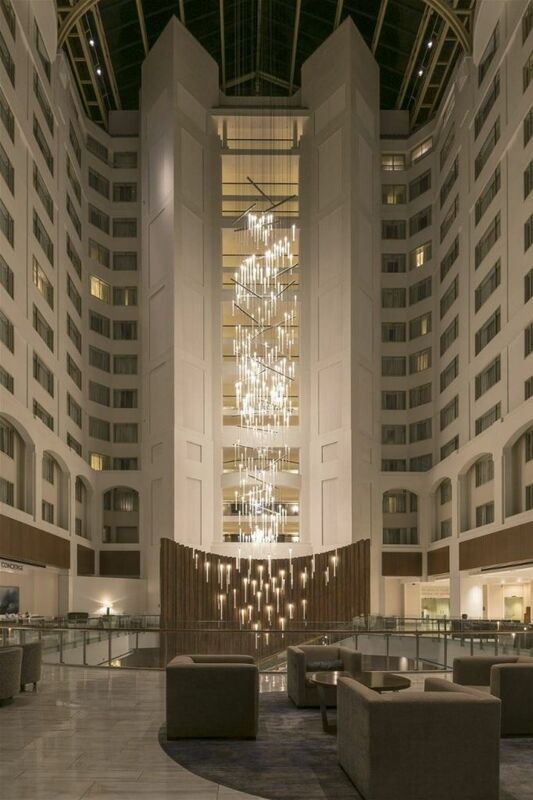 TVS Design was selected to bring back the luster and excitement to this landmark property. 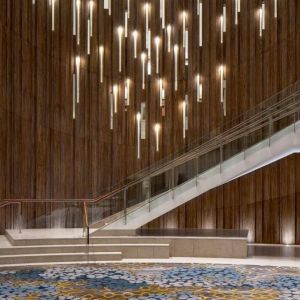 This included a new multistory chandelier in the atrium and a grand staircase and focal wall connecting the lobby and 1B levels. 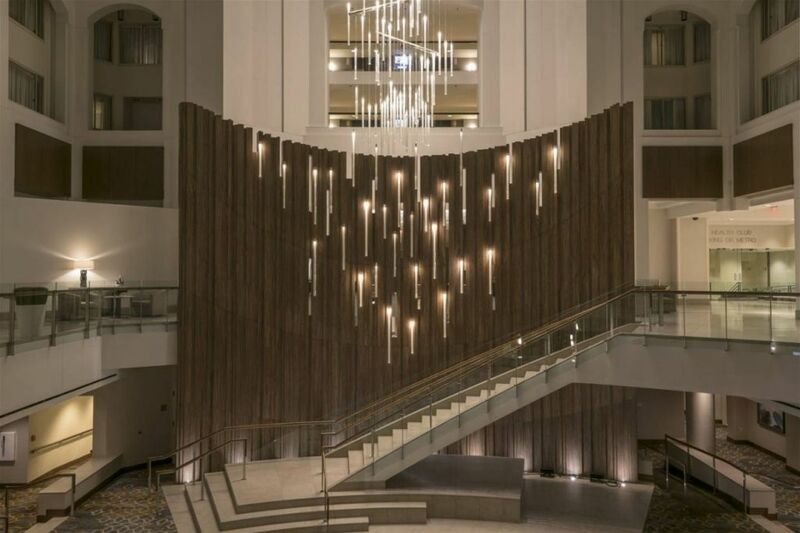 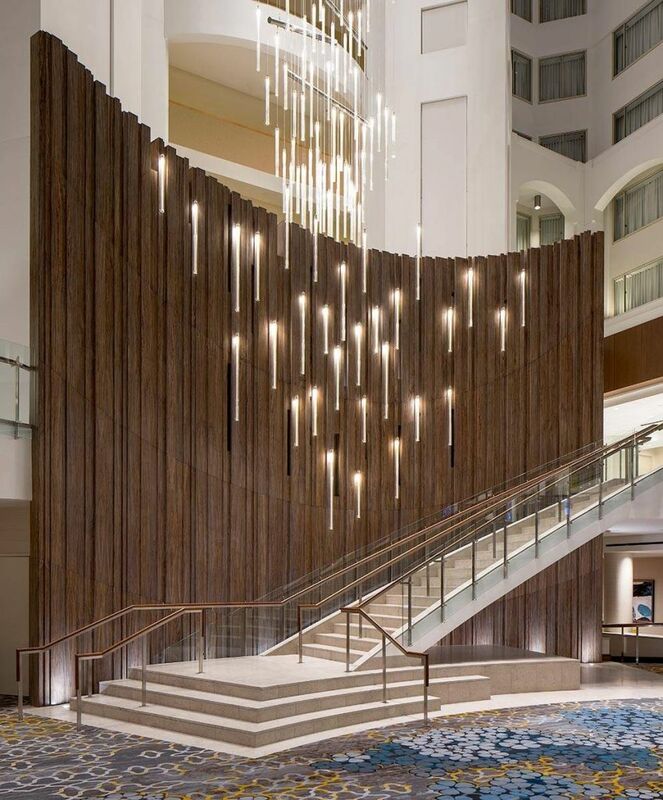 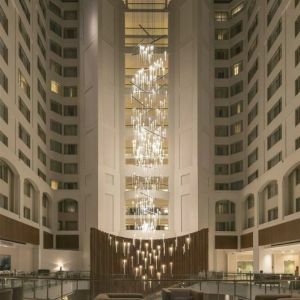 Preciosa was a proud partner in the development and production of the focal lobby chandelier. 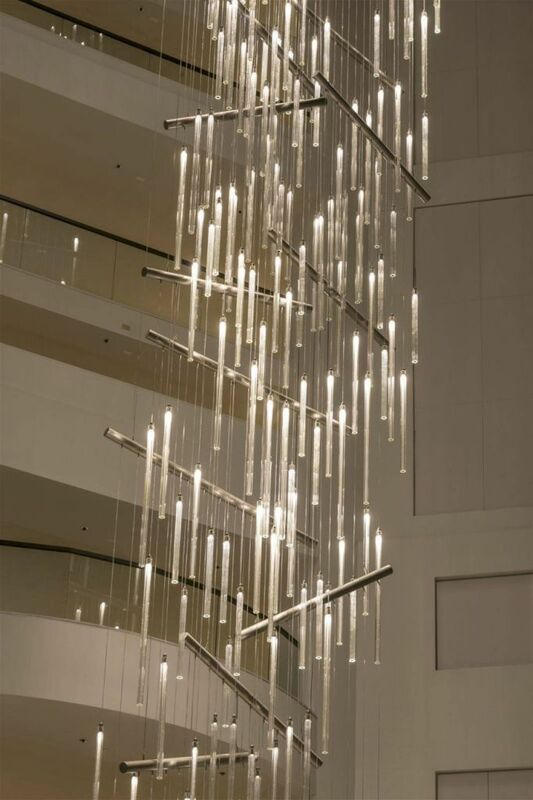 The multistory fixture in the atrium is the tallest chandelier of its kind. 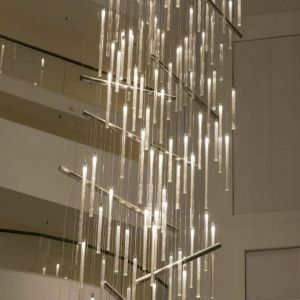 The combined height of the wall/chandelier combination is over 165 feet (50 meters). 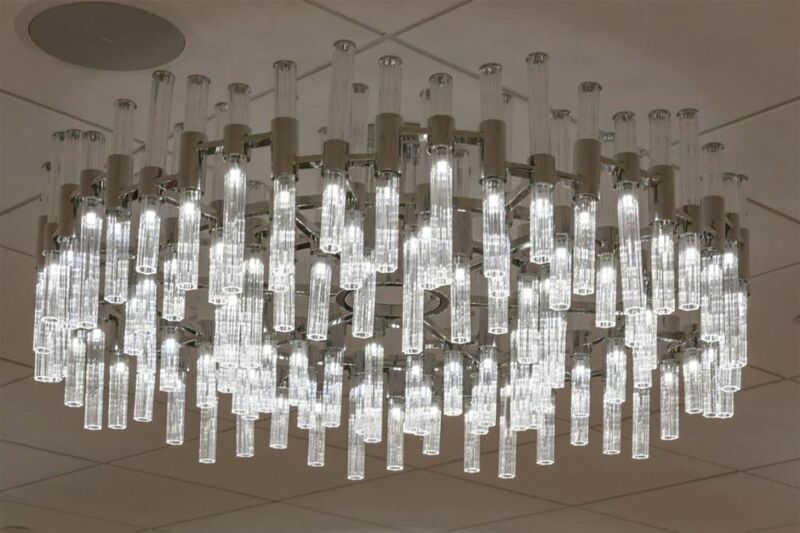 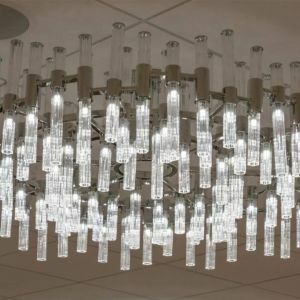 Each hanging section carries 272 glass tubes covered with Stardust® on the inner surface to better distribute the light. 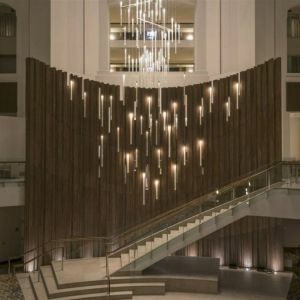 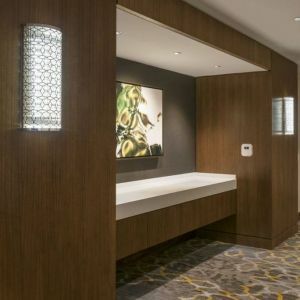 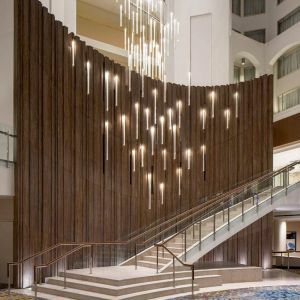 Each light source is individually controllable and programmable allowing the hotel to create various lighting scenes using a sophisticated DMX system. 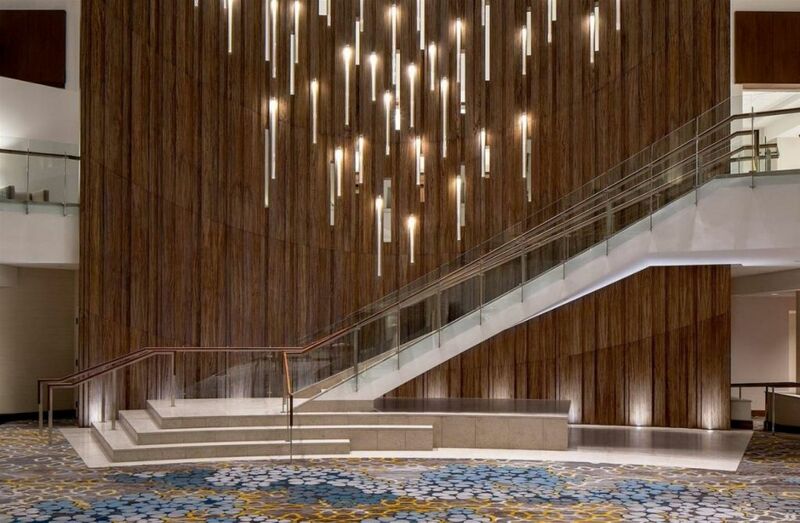 The current programming gives the effect of a waterfall crashing on the wall below. 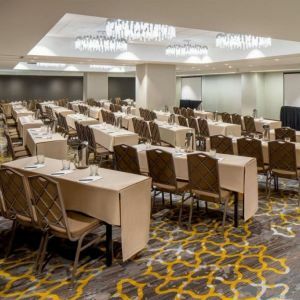 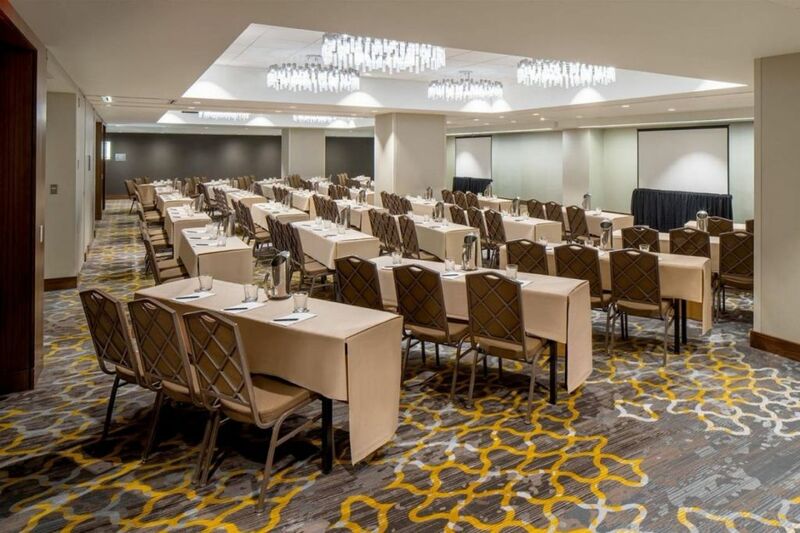 Other interior renovations include the conversion of a former restaurant and conference theater into five meeting rooms. 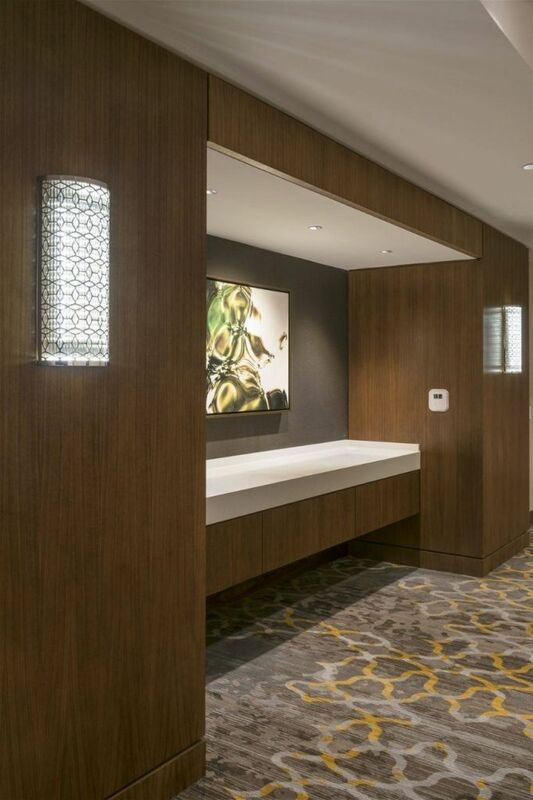 Custom designed furniture, fabrics and lighting enhance the design concept of an urban forest. 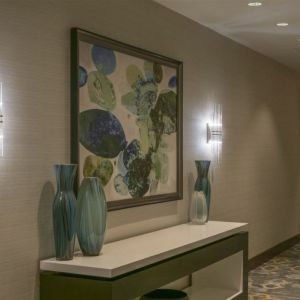 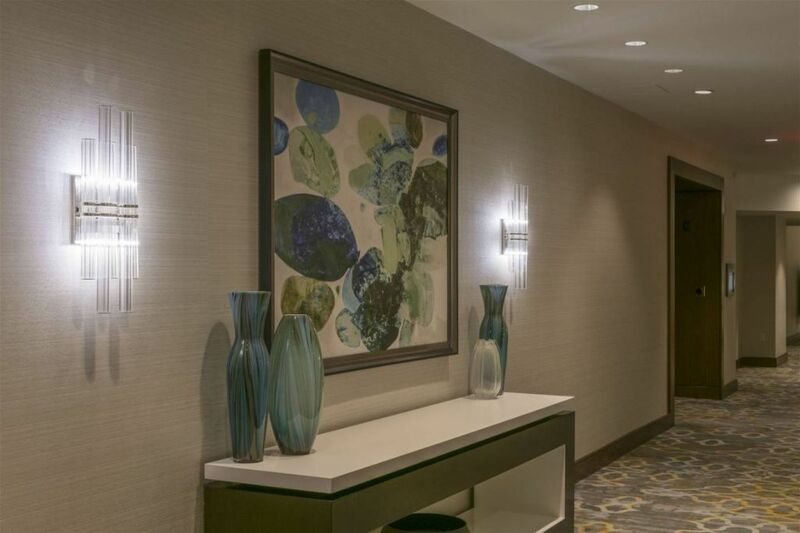 Preciosa pendants and sconces help create the desired effect in this newly renovated space.